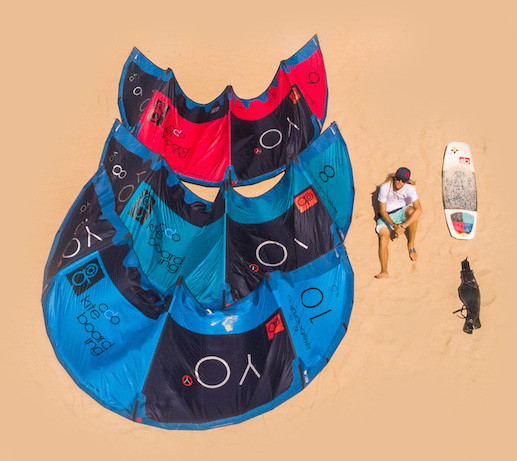 Before launching Odo Kiteboarding brand, 3 different generations of kites, 3 different generations of surfboards and related accessories have been designed, prototyped and tested relentlessly over a 3-year period of time with a huge amount of resources to deliver in your hands top performing and high quality products. All our products are submitted to a long testing process held at different locations in the world and driven by different riders, ranging from pro skilled riders to common users, aimed to qualify the product as in line with the required functionality, duration, safety, ergonomics, external design, ease of use and user satisfaction features. Our R&D process is continuous but, unlike other major brands our new products launch policy takes place each 2 or 3 seasons and not each season. Indeed we launch really new products only if the incremental improvements added to the existing products generate a true better performance. We ourselves are riders and are constantly in a direct contact with our network of riders, friends at a local, regional and international level to have better and quick insights about the market needs and expectations.